Once again, the issue is divided into two separate parts, one focused on Archie and the other on Veronica. When we last left off, Archie decided to take a more lax approach to life, the "Jughead" approach, if you will. Unfortunately, as they are two very different people with different styles and personalities, this did not work out. It's up to Jughead to turn into Archie and take a proactive stance to helping out his best friend. Over in Switzerland, Veronica took her oh-so-gloriously sweet revenge on her newfound nemesis. But was it really that sweet? You see, spending so much time in Riverdale gave Veronica something of a conscience. The first story has some really sweet commentary on Archie's friendship with Jughead, including the lengths that the normally-lazy Jughead will go to keep him out of trouble. They depend on each other to keep life sane and enjoyable. They aren't afraid to discuss emotional issues, along with the usual goofing off and ragging on Reggie, homework, or the like. I also enjoy Betty's statement on one of the key differences between Jughead and Archie. I think it's really poignant. Veronica's story is equally heartwarming, but with a sting at the end. After a talk with her father, and some presumed advice from Smithers, Mr. Lodge finally agrees to let her go back to Riverdale. She just has to finish the rest of her semester at school first because they may be rich, but wasting money isn't prudent. However, due to some previous machinations from the Lodges, the Blossoms are now slightly less rich and Cheryl is leaving the school to go to Riverdale. I don't know who had the idea for designing Veronica's gleeful outburst, but major props to them. It is adorable. Real talk: When Veronica eventually returns, how ruined will Riverdale be? Are we talking 'burning down the town' levels of trouble or just 'Cheryl turns everyone against her' levels of peril? Given the way Mr. Lodge just up and left after his mayoral campaign, methinks that Veronica might have some making up to do. Still, that is a tale for the next issue. For now, I'm happy with an excellent issue. 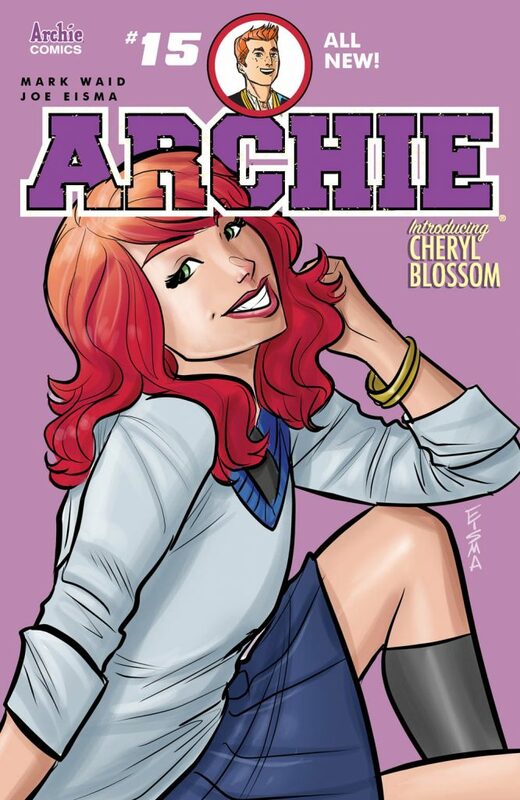 Archie #15 is written by Mark Waid and Lori Matsumoto and drawn by Joe Eisma. You can find it at your local comic book shop.